Create a calm, cool living space that truly feels like home. Authenticity 50 makes sheets and duvet covers in America that have 1,000 5-star reviews. We're proud to partner with brands that make amazing products in the USA. Primer readers get free expedited shipping with code PRIMER! Doctor Strange has his Sanctum Sanctorum. Superman has the Fortress of Solitude. And you? You have your bedroom. A refuge, a solace, a place to be yourself. So more than any other room in your home, it should reflect your personality and evoke a feeling of comfort and peace. While your current setup is probably several rungs above a college dorm room (we trust) there are still a few updates and swaps you can make to take your room to the next level – both in form and function. The average person gets 8 hours of sleep a night, which works out to about a third of a lifetime. That’s a long time to spend passed out on sub-par sheets. And if you aren’t getting a full 8 hours, you need to do everything you can to feel rested and refreshed when the alarm goes off. Step one: stretch out on superior sheets. Despite what you’ve heard, thread count isn’t a trustworthy indicator of quality or feel. In fact, thread count is the textile industry’s most pervasive myth. Like many things, sheets are only as good as the sum of their parts. That’s why Authenticity 50 oversees every step in the making of its bedding. Co-founders Jimmy and Steph decided to bring textile manufacturing back to the US so that they could guarantee the best possible quality for their customers. Each sheet is 100% made in America, using Supima cotton from a family-owned farm in California. Not to go all textile nerd, but Supima cotton has longer and stronger fibers than regular cotton, which translates to softer, more durable sheets that use single-ply yarn. This is how lower quality, less trustworthy brands try to trick you with a “high” thread-count number. 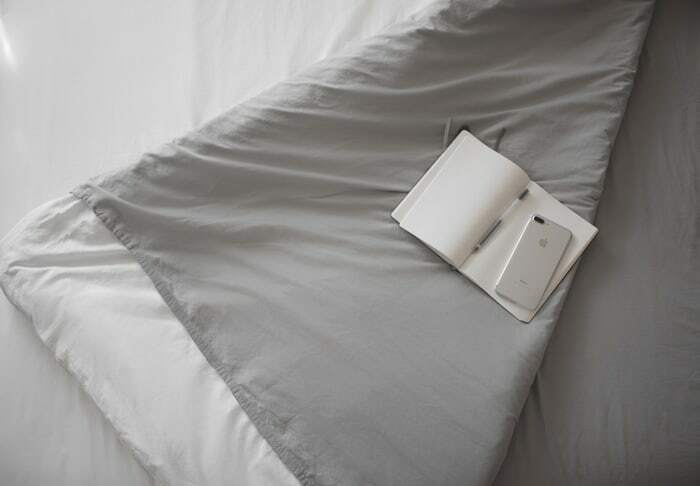 White sheets always look crisp, but if you want to change it up, try a soft gray or blue. 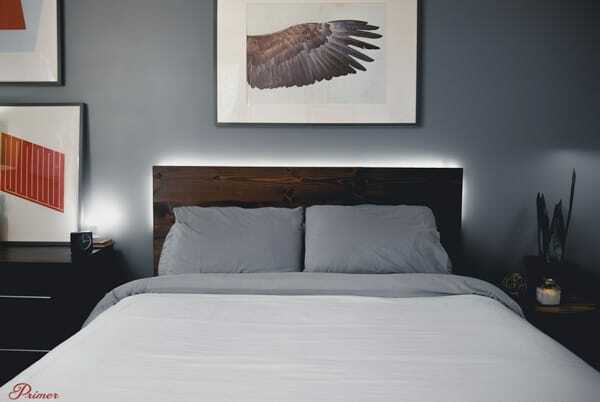 How light (or dark) to keep your bedroom is largely a matter of preference, although most people like softer lighting that can be adjusted up or down depending on time of day. With a wireless lighting system like Philips Hue, you have far more control than the classic dimmer switch allows. All from an app or via Siri, you can change colors, sync the lighting with your music, selectively dim lights, and control the lighting even when you aren’t home. Sure beats fumbling in the dark for a switch. While the importance of a good mattress/box spring/frame is pretty self-evident, a headboard’s use isn’t readily apparent. But rather than thinking of this as the appendix of your bedroom set, embrace what the headboard can do for your room. It can ground your space and serve as a place to draw the eye; add color and interest to an otherwise plain wall; even display and hold essentials, like a book or a small lamp. When you’re choosing a headboard, keep the other colors and textures in your room in mind. A simple, neutral headboard – like this one from Amazon – can help you establish a tone for your room without feeling too loud or distracting from the other design elements. And if you can’t find the perfect one to suit your style, we have an easy DIY headboard project featured in the above photos so you can completely control the look and feel. At first, it seems counterintuitive. A chair in the bedroom? Hear us out. Your bedroom is for more than just sleeping and storing your clothes. Your retreat from the world is also a great place to read, brainstorm, or just kick back with a cup of bourbon, tea, etc. Good sleep hygiene advises that your bed should just be for sleeping. 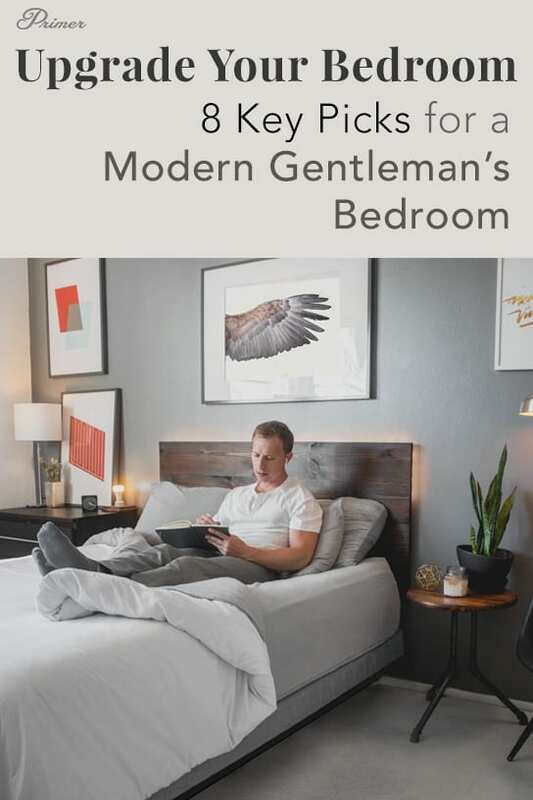 So if you want to hang out in your bedroom, you’re going to need a handsome, comfortable chair. 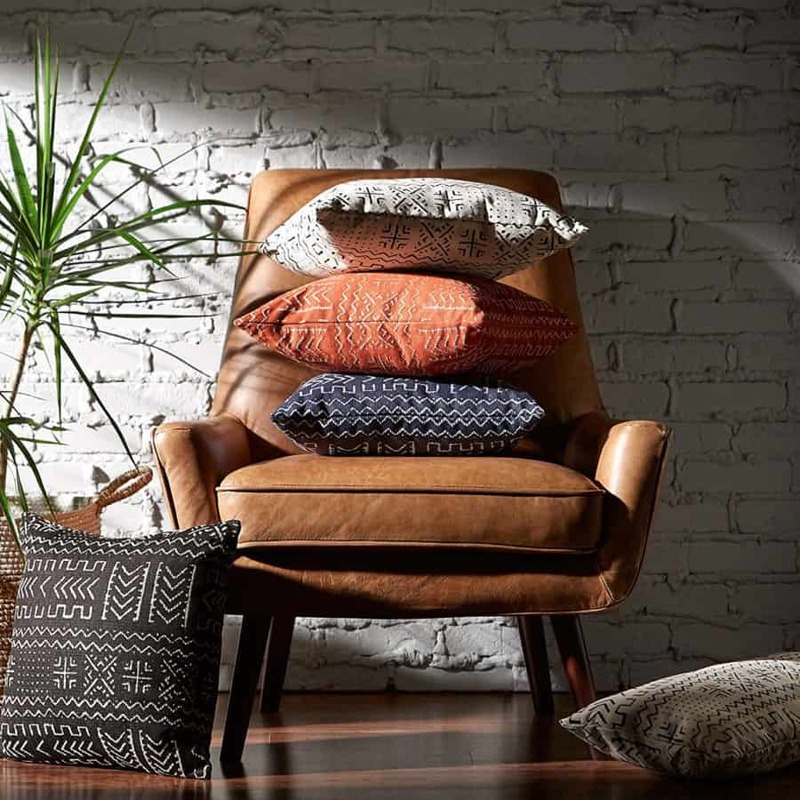 A leather armchair is a classic piece that adds a mid-century masculine flair to your space – but it’s also flexible enough to work with practically any decor style you can think up. See a few more picks: here and here. 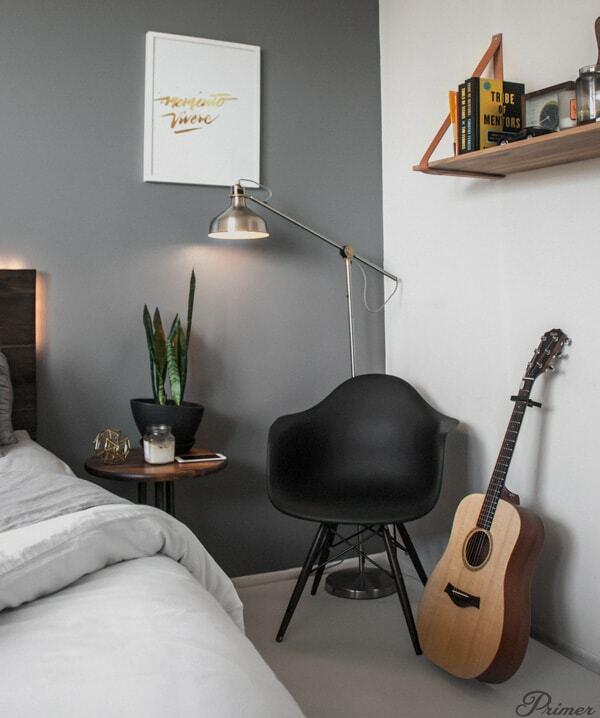 A minimalist Eames-style chair (pictured above) is always a good choice, too. Few things are more distracting than clutter. Clutter is the enemy of serenity (and style, for that matter). Contain your everyday items (watches, key ring, sunglasses, pens, etc.). And while you’re at it, turn them into a handsome display. 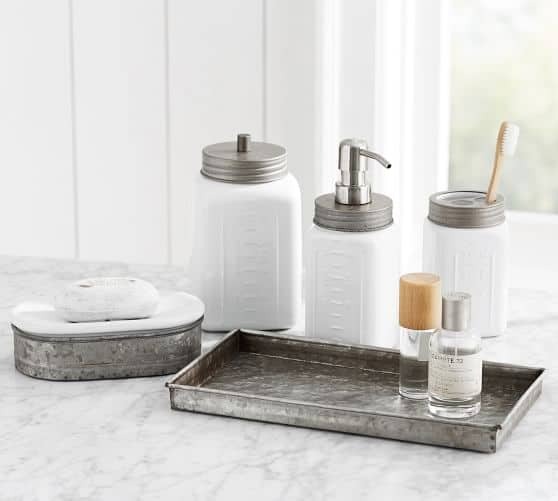 A simple tray in wood or brushed metal is an attractive way to transform an untidy dresser. 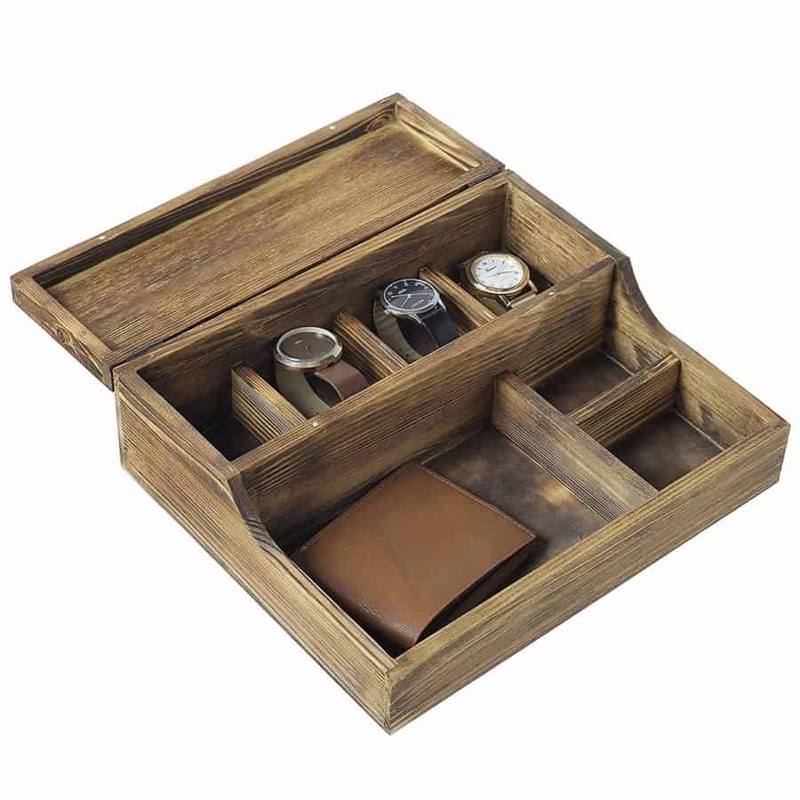 Or try a classic leather valet box, if you prefer something with more compartments. Bonus: it will be easier to find everything when you’re in a rush. 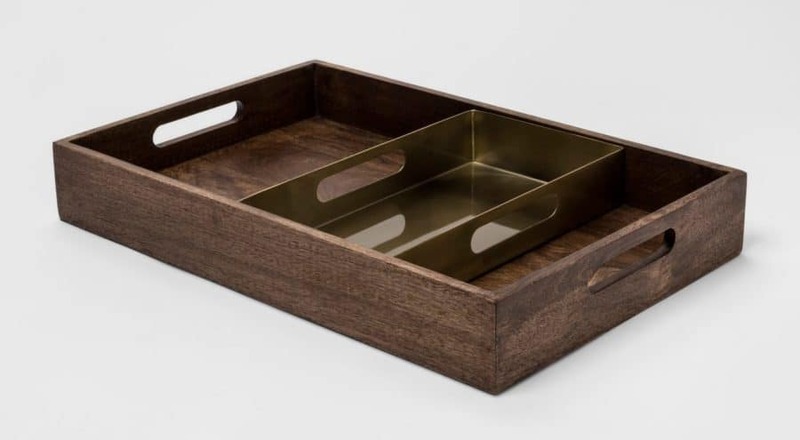 This galvanized iron tray is a nice balance between industrial and elegant. 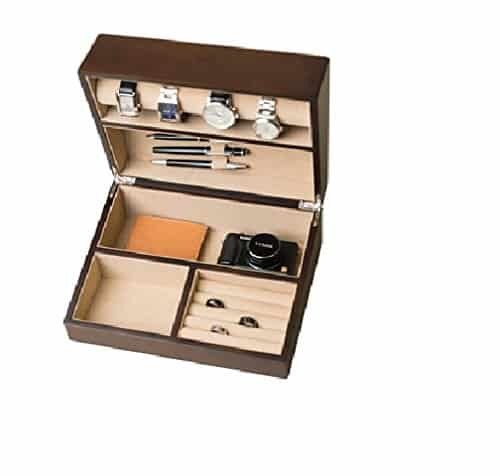 This discreet valet box has a more traditional feel, plus it’s easy to grab if you need to transport everything in a pinch. 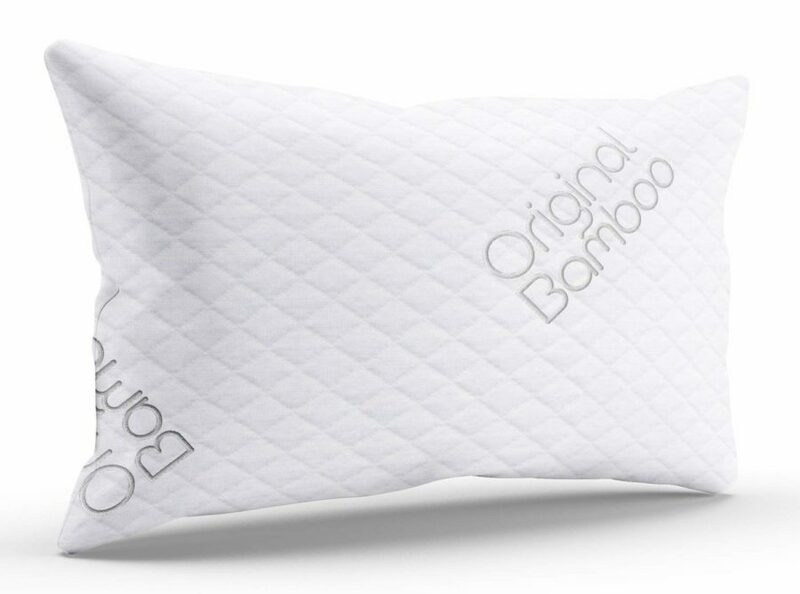 More than just a place for your face, pillows support your neck and upper back while you sleep. If you’ve ever woken up with neck pain or a headache, your pillow may be the culprit. Preference definitely plays a role here. There are few things more personal than the place where you rest your head, and everything from firmness/softness to material contributes to that “know it when you feel it” just-right sensation. That said: there are a few things to keep in mind when you’re looking for a new headrest. First and foremost: bigger isn’t always better. Poofy, fluffy, marshmallow-soft pillows may look appealing and are fun to flop onto, but they’re not the most comfortable for hours at a time. You’ll probably want one that compromises between squishiness (technical term) and support. Some people believe that how you sleep may also affect the type of pillow you need, but since many people toss and turn between back, side, and stomach throughout the night, it might not make sense to choose one specialized shape. Instead, look for a pillow that strikes the balance between denseness and fluff (or loft), and stays cool. Memory foam is denser and more supportive than feathers, but tends to hold heat. Shredded foam is more adjustable. Synthetic fiber is soft like down, but easier to clean. Here are a few suggestions, but you’ll probably need to try them out to make sure they pass the sleep test. 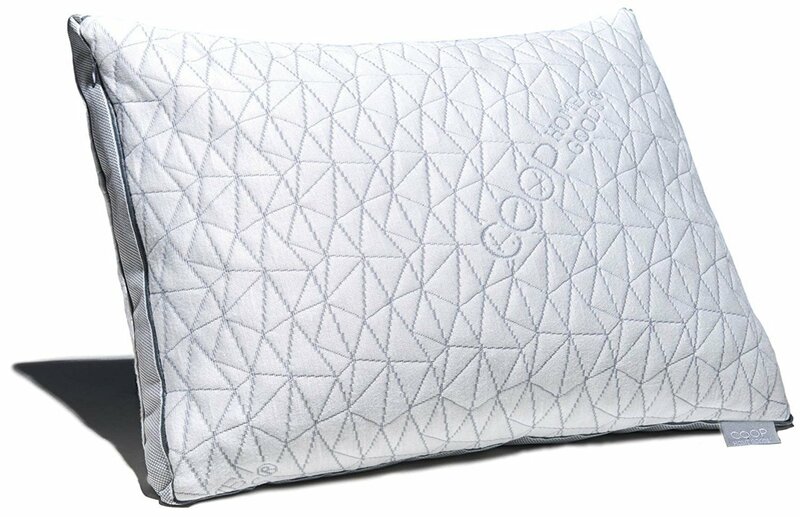 A “hypoallergenic gel infused” pillow sounds a little odd, but the Eden pillow has a 100-night-trial period so you have plenty of time to decide. Like popcorn kernels, this shredded memory foam pillow expands when exposed to heat – you place it in the dryer for 15 minutes to fluff up the foam. Luckily, that’s where the similarities end. It also has a 5 year “never flat” guarantee. Both styles promise to be both comfortable and customizable – you can add or remove stuffing until even Goldilocks would say, “just right”. Laundry – it’s a dirty job, but somebody’s gotta do it. Probably you. Keeping unsightly mounds of just-worn clothing out of sight and neatly contained is a big step towards making your space look clean. Give the fabric sack you used in college a fond farewell and upgrade to something a little nicer to look at – preferably with a lid, for a more polished appearance. It’s hard to go wrong with a “spa-style” anything, and the above spa-style hamper is no exception. 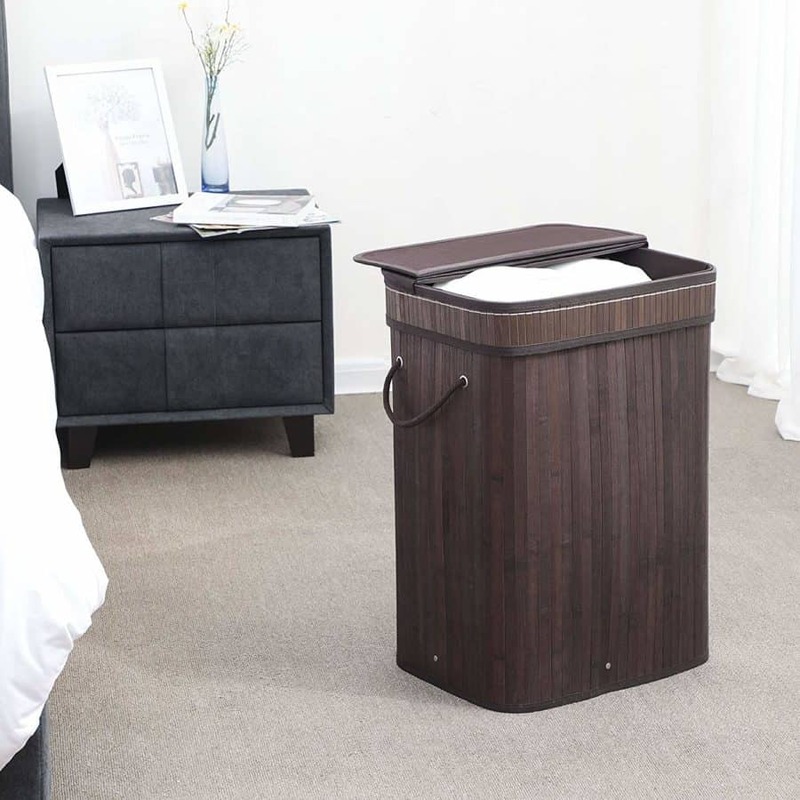 Constructed from bamboo, with a fabric liner, it manages to suggest it contains some very classy dirty laundry. 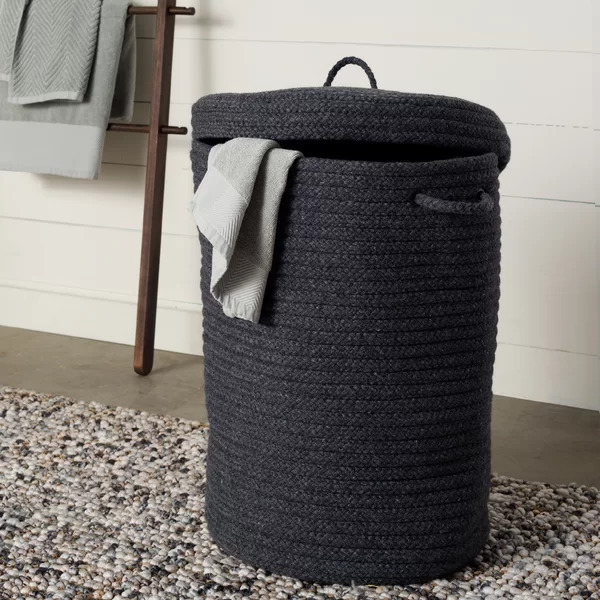 This braided wool-blend hamper doesn’t blend in as much as the bamboo option. Instead, it adds a little color and texture, turning an item that’s designed to hide something away into a piece that is meant to be seen. Portraits, maps, abstracts, landscapes – art is a great way to add color and vibrancy to your room. It reflects your personality and brings a space to life. If only it weren’t so darn pricey. 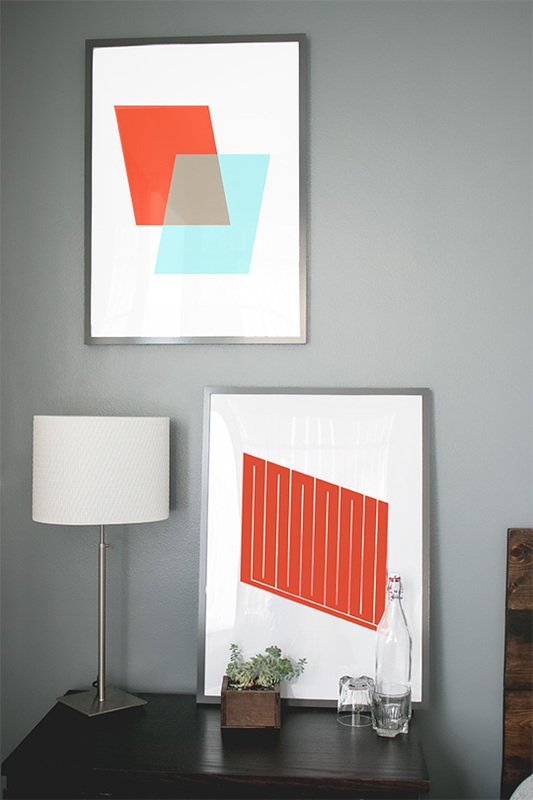 Prints are often expensive even before you add in framing. That’s why Primer has offered art prints you can download for free since 2013. We’ve got an extensive collection spanning various decades, styles, and mediums, so the odds are pretty good that you’ll see something you like. How have you upgraded your bedroom recently? Let us know some of your favorite finds. I moved in with my girlfriend and she got my nightstand so I was making due with an ikea rolling cart for a nightstand. Finally got a proper one last week. It feels much more adult, which is a good feeling when you’re pushing 30. Haha! That’s awesome. What’d you get? Oh yeeeeeah! I love that. How did you get the lighting behind the headboard? I loved the Valet Box and The Journal on The Bed. It’s so sophisticated how The Watches were organized and I loved the Wood that was used. if you’re thinking about these sheets but have a King bed, don’t bother. They’ve been out of stock for over a month now. However, similar to mattresses, there are a ton of viral-marketing sheet companies out there now (these guys above, Brooklinen, etc). I think it would be great to see a side-by-side analysis from a guy’s perspective.